Gratiot County’s No. 1 New vehicle dealership, No. 1 auto salesperson and No. 1 auto service department according to People’s Choice Awards. Incredible specials on Mopar and aftermarket parts, as well as a parts delivery service. A comfortable, modern customer lounge with free coffee and popcorn, plus free Wi-Fi to let you get work done or relax as you wait for your ride. Customers who buy from us have access to a variety of great maintenance plans to ensure their vehicle receives quality attention years down the line. For those who want to protect their investment, perhaps one of our many extended service contracts will fit the bill. A free shuttle service for when you don’t want to wait at our dealership, as well as pick-up and delivery services for maintenance and repairs. 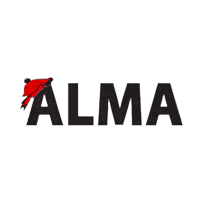 Alma Chrysler Jeep Dodge Ram	43.408509, -84.6518844.